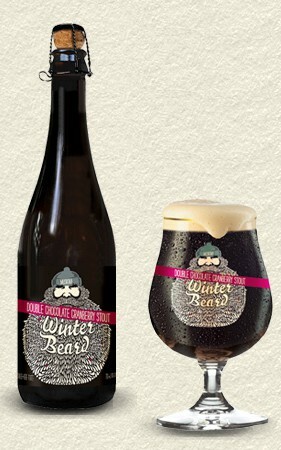 Description: This beer is part of Dieu du Ciel’s Rotation series, a limited-release that is available from January to April. As the name suggests, it is a North American take on the traditional Belgian Tripel, combining American Citra hops with pale malt and Belgian yeast. The beer takes its name from the French Canadian legend of the Herbe à Détourne, which makes one lose their way should they happen upon it. Tasting Notes: Quite the powerful triple! This beer has a rich malt base and the telltale flavor of candi sugar to boot! This leads to a rich and coarse malt flavor, a yeasty backbone, and some serious alcoholic warmth to finish. The addition of Citra hops also imparts a nice citrus twist. 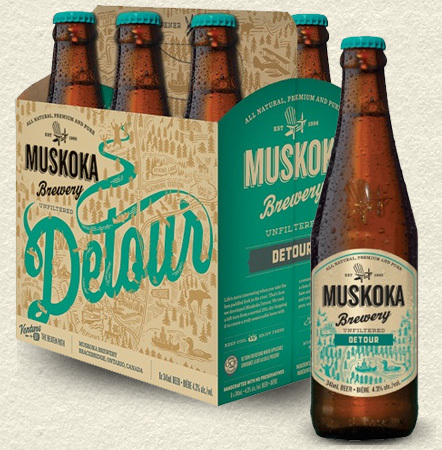 Description: Muskoka’s Winter seasonal beer, this stout is brewed using dark roasted chocolate malts which are then infused with cocoa, 70% dark chocolate, and freshly harvested local cranberries. The result is a strong stout with hints of sweetness and a smooth backing. Tasting Notes: This is one of those “long time coming” drinking experiences. 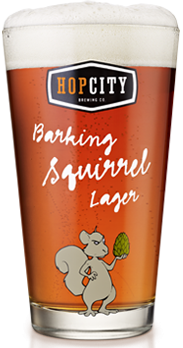 I can recall seeing this beer on the shelves back when I visited Ottawa, and made a mental note to try it once I saw that it was available here in BC. It took awhile, but I finally managed to get my hands on one and give it a go. And the combination was pretty pleasing. Tart and sweet cranberry flavor play well with a strong stout, cutting the bitter malt flavor, while chocolate provide an undertone of smoothness. Description: This limited release Spring-seasonal ale pays homage to the legends of the lumberjacks and furtraders who experienced the mysterious culture and wildlife of the North during the 1800’s. 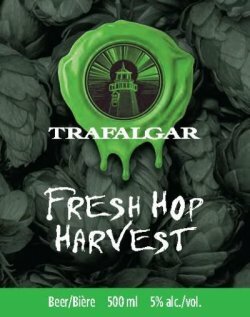 Brewed in the Belgian style, it brings together a combination of North American malts, Noble hops, heather tips, juniper berries and sweet orange peel shavings, before being fermented with Belgian yeast and fortified with Candi sugar. The end results is then bottled and cellar aged to bring the flavors together to maturity. Tasting Notes: This beer brought to mind many drinking experiences, all of them pleasant. First, there are the distinctive Belgian-style elements, which are similar to a good Tripel; a barley-wine in terms of the sweet and sugary notes; and a juniper pale ale with the infusion of gin-like flavor and a crisp finish. I am always happy when I get to reconnect with breweries from back east that I don’t always have access to. And this beer was definitely a lovely and worthy addition to Muskoka’s lineup.